The #1 reason women sabotage their healthy efforts is because their focus is on food - by then it’s too late. That’s why we focus on what’s going on in the deeper part of your mind.. The part of your mind that holds the key to long term change to align you with what you want, how you want to feel and the choices you make for your life and body as you create your anchor to long term change. Together, we explore and then replace the reasons behind why food is used to fill voids in your life; better still, you get to have FUN doing it as those voids start becoming non-existent, aaaaand…. emotional eating becomes a thing of the past! What I gift you, are the tools I used to make decisions that match what you want so the rest becomes easy, coupled with powerful Time Line Therapy ® to remove your negative self-talk and deeply engrained habits to create new ways of living your life on your terms. Don't take my word for it, click here to see what my gorgeous ladies have said..
No more diets, no more restriction, no more guilt. WHAT IS YOUR GREATEST DESIRE FOR YOU? If you were to hold yourself accountable to your future self, would you make her proud? It’s likely, you’ve never sat down and thought about it, have you? What are the characteristics you’d like to embody? Would you like to flow through your day, get sh*t done and have sustained energy to feel in control? It’s because you haven’t thought about it, that you keep repeating the same old. I get it. You're busy. And the reason you’re excelling in other areas of your life is because that’s where your focus has been. It’s not good enough that you know what to do, if you’re simply not doing.. is it? Time to stop the cycle. You're ready to become your focus again to align with the woman who thrives with an abundance of Vitality! Let’s refine what you're doing so your efforts start showing. Let's burn away the stuff that doesn’t serve you to reveal the woman you always knew you were, comfortable in your skin. Empowered! If you're an action taker like me, I offer 3 FREE sessions a week for women who are ready for the 'what next'. I incorporate a beautiful Plant Based Lifestyle Regime into my day that forms part of my Non-Negotiables. 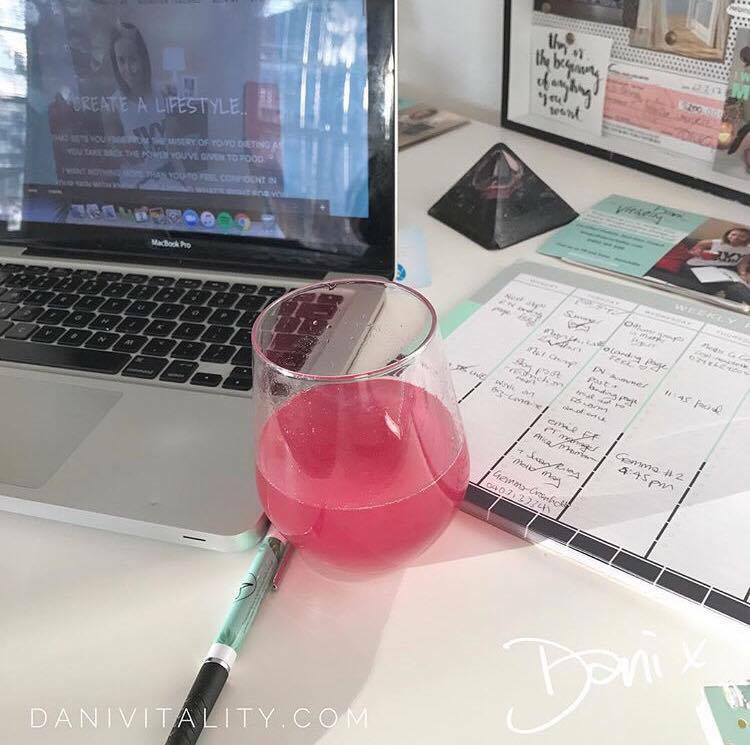 Everyday I choose to feel good and by including protein powders as my deeeelish breakfast or post-workout smoothie, supplements and energisers; I'm well equipped to thrive with Vitality that lasts all day. Of course, I want to feel good on the outside and enjoy lush lashes as I go about my busy day c/o the image on the right! Honouring the woman you desire to be is feeling good about yourself however that looks to the individual so, when I have groomed brows, lush lashes and a good manicure, all is well in my world. I also use their haircare, shower gel and skincare because I'm conscious of what is absorbed into my skin to keep toxicity levels low. It arrives at my door each month and I don't have to step foot into a mall. A life hack for busy women right there! If you have any questions about my gorgeous Lifestyle Regime, how it positively impacts me and my clients, and if it's right for you; get in touch! Let's talk about how we can add more Vitality into your day so you still have enough gas in the tank by the end of your busy day.